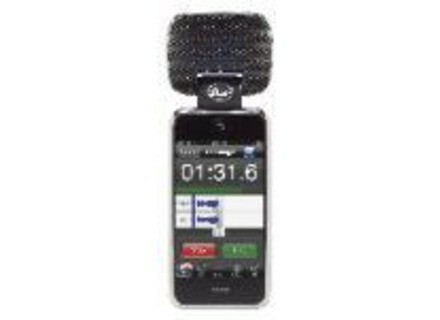 Mikey Portable Recorder, Microphone for tablet/iDevice from Blue Microphones. Blue Microphones announced the second generation Mikey Portable Recorder for iPod and iPhone. Like the original, Mikey features two custom-tuned Blue capsules. Blue recently announced Blue FiRe, a free, high-fidelity field recording app for iPhone and iPod touch that is now available from the App Store. Developed in partnership with Audiofile Engineering, the Blue FiRe App is optimized for the second generation Mikey. The new Mikey, MSRP $99.99, will be available in the spring of 2010. For complete details, visit www.bluemic.com. [NAMM] IK Multimedia Amplitube 3 IK Multimedia presents AmpliTube 3, a massive upgrade of the guitar and bass tone gear-modeling software. [NAMM] ESI Dr. DAC nano The ESI Dr. DAC nano features a headphone amplifier, line output and optical digital output all via a single output combo connector. [NAMM] Arturia BRASS 2.0 & EWI-USB Bundle Arturia announced a bundle of the Arturia Brass 2 and Akai Pro EWI-USB.